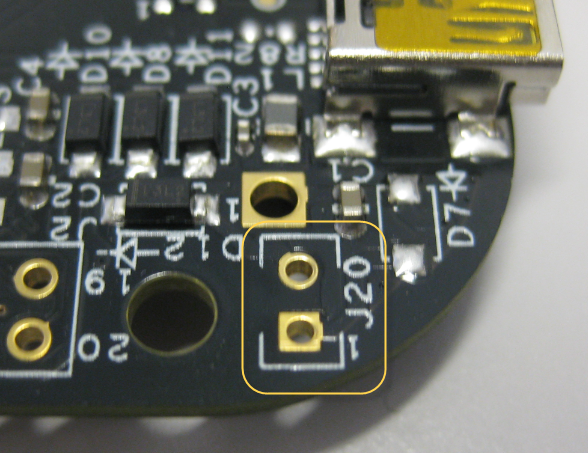 Nearby J20 there is as well the unpopulated D7: before this diode was part of D1 on RevD. 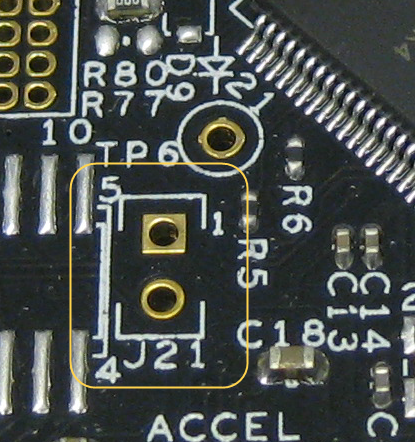 With this diode unpopulated, using the batter connector on the backside of the board requires this footprint populated (either with diode or 0-Ohm resistor). 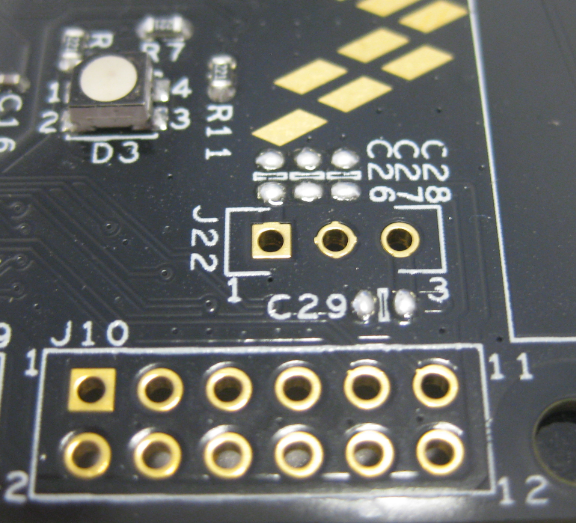 Now the board has a 3 pin header (J22) on the board so such a converter (or a 3 pin ) can be soldered. Additionally there is space for 3 10 uC capacitors (C26, C27, C28). Alternatively a 7805 in a TO-220 package can be used as low-cost alternative. 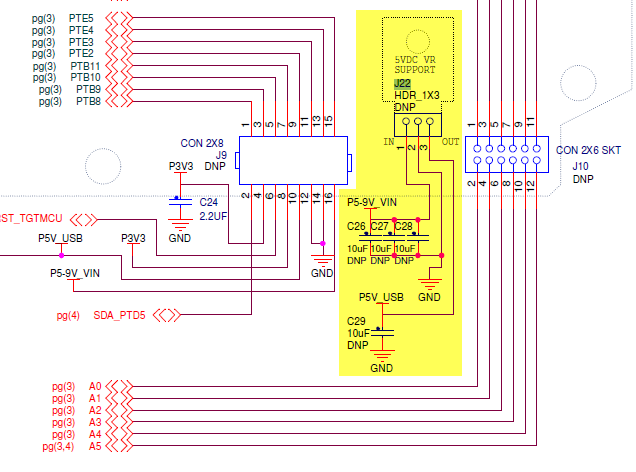 With J21 I can supply 5V to the bus, and with R82 I can pull down the USB ID pin. 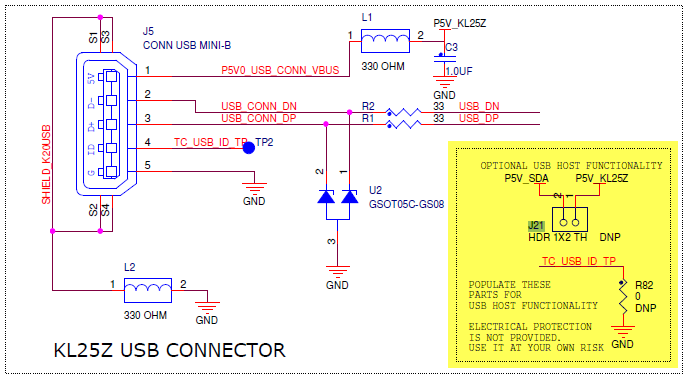 ❗ The 5V are *not* protected against over-current. So I need to make sure I do not draw too much current. 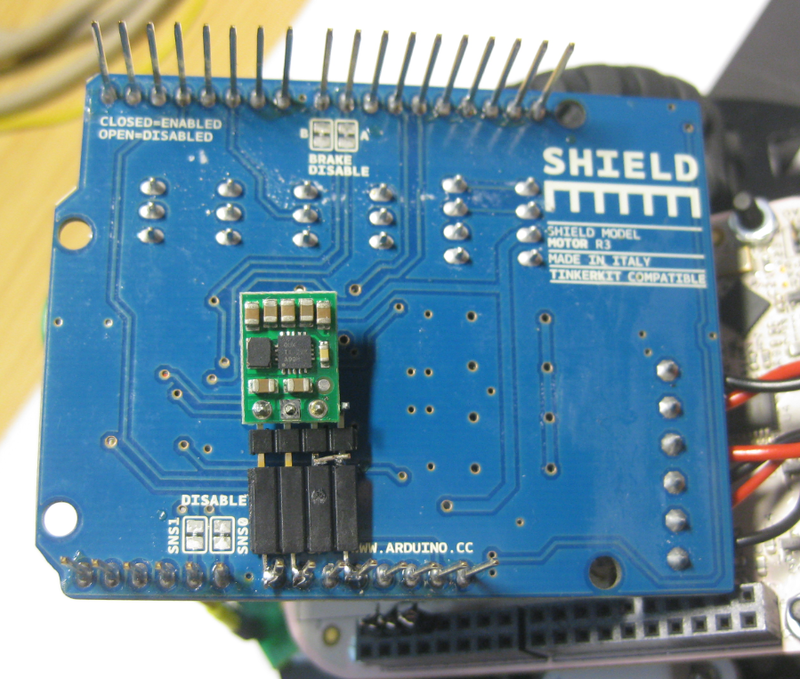 The new RevE fixes many limitations of the RevD board, and makes it easier to be used either in USB Host mode or with Arduino shields. Until then I’ll use my patched boards, but I’ll start using the new RevE boards in my courses as soon as I run out with the RevD boards. And I will use Mouser instead of Farnell/Element14: Farnell has increased the price (why? 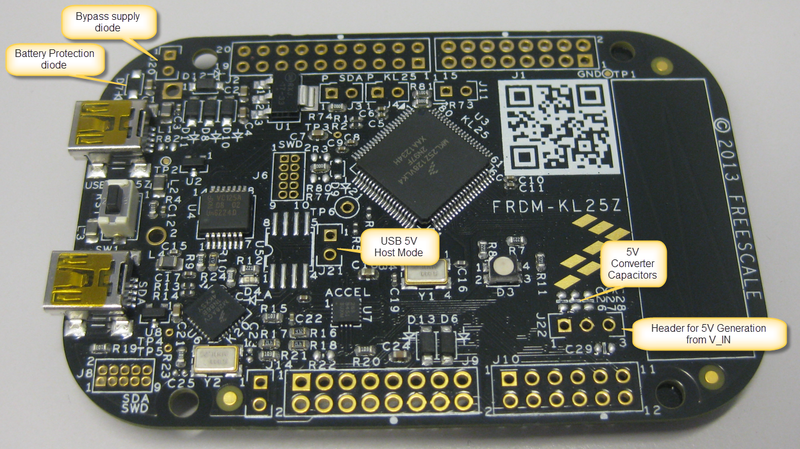 ), and Mouser is able to deliver the boards as low as CHF 12.14 (with free shipping!) compared to Farnell/Element14 where the board costs CHF 17.05. Ordering many boards for a class makes a big difference. Definitely, the RevE board is better than RevD, and less expensive than Element14 :-). 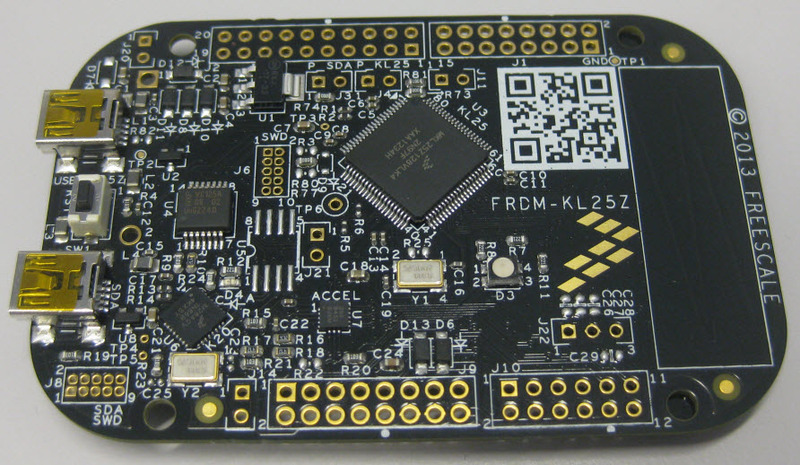 This entry was posted in Boards, KL25Z Freedom Board, Tips & Tricks and tagged freedom board, KL25Z Freedom Board, Tips&Tricks by Erich Styger. Bookmark the permalink. Those are welcome changes. 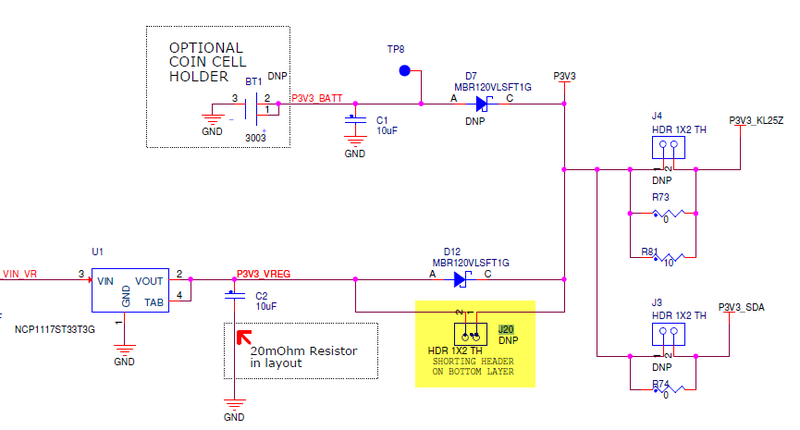 This whole power thing is an area I find lacking proper thought on many of these “demo” boards by all manufacturers. I am in USA. I clicked on your ch.mouser.com link as they are one of my normal suppliers, and I was interested in seeing about the “free shipping”. (since S&H seems to to be the new profit model for many companies) Then I went to my normal bookmarked http://www.mouser.com and it snapped back to the ch. version. This was in Firefox. I had a hell of a time getting Firefox to forget ch. and start using www. again. Had to clear the recent history and cookies. Very odd. I’ve never seen anything like that happen before. I routinely use ebay.de, for example without this weirdness. I have a hard time with this ‘geo-locking’ of many sites. I see many times that there are higher prices in the local store site, where it is less expensive in the US, even with shipping included. Thanks for writing this post. It is by far the most straight forward reference on the FRDM-KL25Z I’ve found so far. 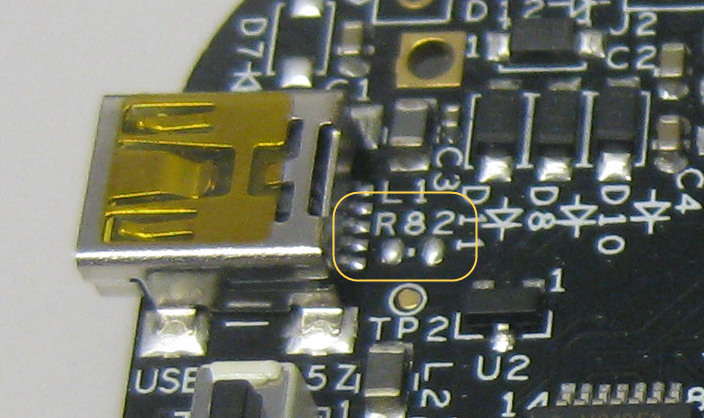 Question on the enabling USB Host functionality with J21 and R82: It looks like grounding the USB ID pin determines whether a device is a USB host or USB peripheral. Does the FRDM-KL25Z have the ability to switch between host and peripheral mode and would I need to bridge and remove R82 to do so? Also, does R82 need to have a certain resistance or can I just short the pads together? thanks, good to hear that things are useful. I’m travelling right now so have very limited access to specs/etc. 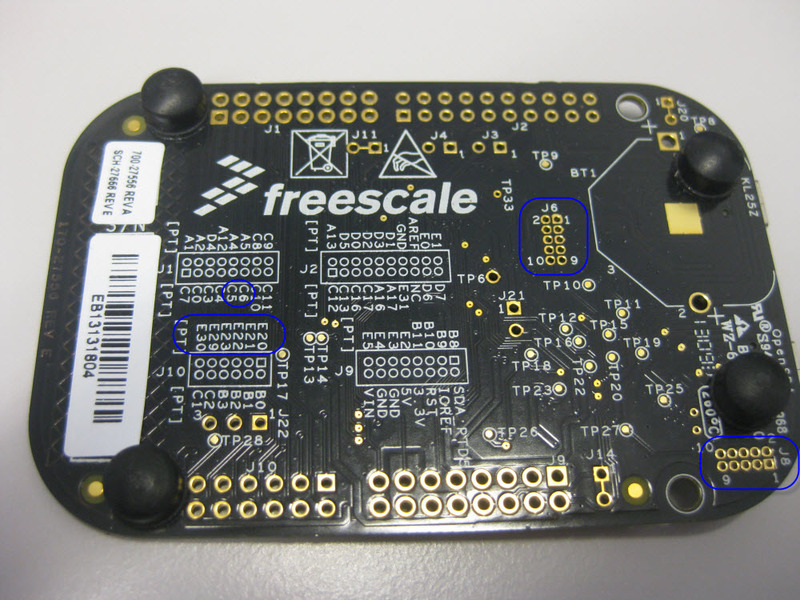 But I would suggest that you check out the schematics of the TWR-SER board (www.freescale.com/tower) which to my knowledge has a flexible way to deal with host/device/OTG.